What I thought was going to be a productive day for me at work and a relaxing day for my son because it’s a holiday turned out to be a nightmare. Justin started his day yesterday completing his Penmanship exercises and playing iPad afterwards. He wasn’t in the mood to eat breakfast, though, because he said he felt like vomiting, but he continued tinkering with his Dad’s iPad until 11am. When he got off the bed, he asked me if he was sick. I asked him how he felt, and without warning, he puked in front of me. I texted his pediatrician right away to ask what medications to give my son; she prescribed Motilium and Nexium. Three more episodes of projectile vomiting followed despite the medicines I gave him. (Note: Projectile vomiting is vomiting with great force.). 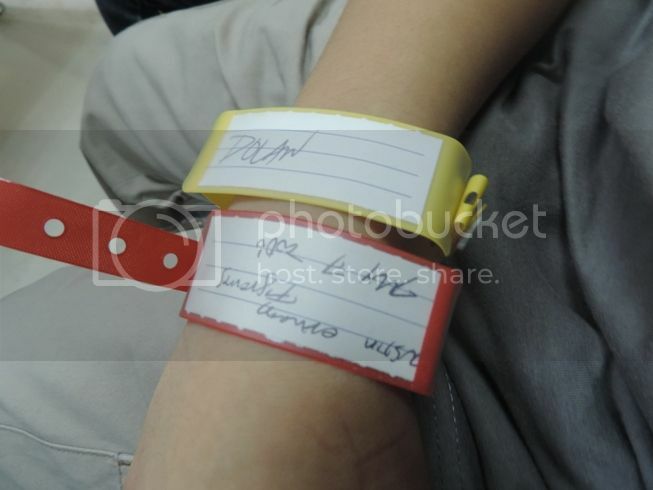 That’s when we decided to bring him to the Emergency Room of the Makati Medical Center a little after 5pm yesterday upon the advice of his doctor. He was given an anti-emetic (Plasil) injection to stop vomiting and diphenhydramine (Benadryl) to help him sleep. He also had routine urinalysis done to determine if he has urinary tract infection (UTI). The UTI results came back negative. The diagnosis was gastroenteritis. This morning, we went to my son’s pediatrician for a follow-up check-up, and she said, it’s acute gastritis, not gastroenteritis, because Justin didn’t have diarrhea. She said Justin could have gotten it from bacteria from spoiled food or contaminated water or from skipping meals. She advised Justin not to share his water bottle with anyone, to avoid drinking from water fountains and to eat his school snacks and lunch. Justin didn’t have another episode of vomiting from the time he was given an anti-emetic injection, and he is now his usual bubbly self. This entry was posted in Emergency Room, Gastritis, Gastroenteritis, Makati Medical Center. Bookmark the permalink. 2 Responses to Rushed to Emergency Room! Omg! I am sorry to learn about what happened. I hope Justin gets well soon. I am so glad that Justin is fine!